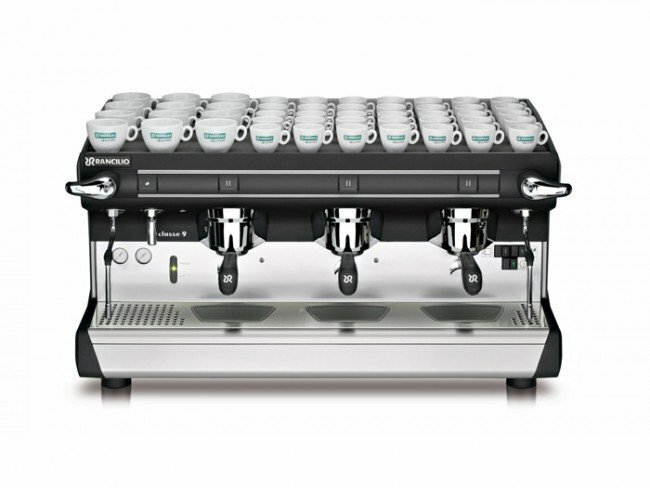 Add sleek stainless steel looks and simple semi-automatic prowess to your cafe with the Rancilio Classe 9 S Commercial Espresso Machine. 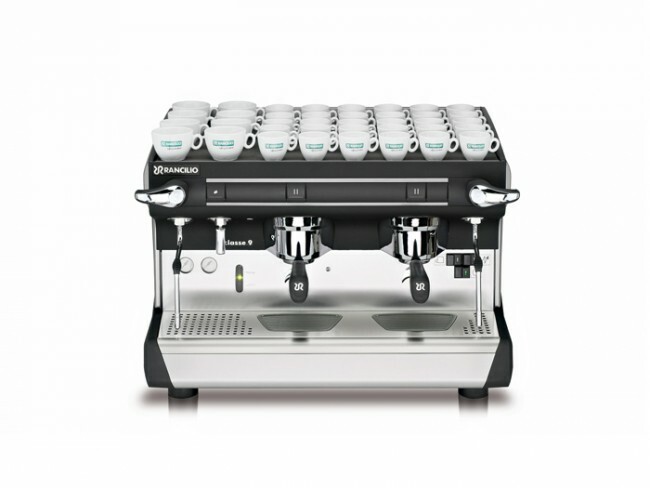 You'll get Rancilio's steam-ready boiler design, barista-saving ergonomic portafilters and steam levers, and a sturdy stainless steel case that looks good in any location. Semi-automatic Controls - Simple on/off buttons offer clean control over brewing and hot water options. Insulated Boiler - Boiler insulation increases efficiency and temp stability for the Classe 9's heat-exchange boiler. Stainless and Chrome - The Classe 9 S sports chrome group covers and stainless steel side panels. Quick-Recovery Boiler - An extra-large heating element for the Classe 9's boiler size means faster startup and quicker turnaround between steaming. C-Levers - These clever steam levers are mounted against the face of the machine for easy access. Partial and full steam control. Barista Lights - Show off those perfectly blonde shots with integrated cup lights. 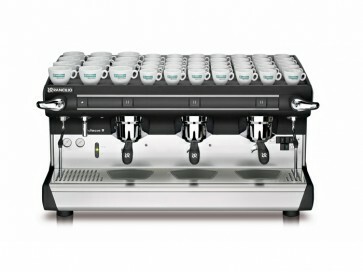 A Cafe's Machine - Simple, well-known internals keep costs down and coffee flowing. 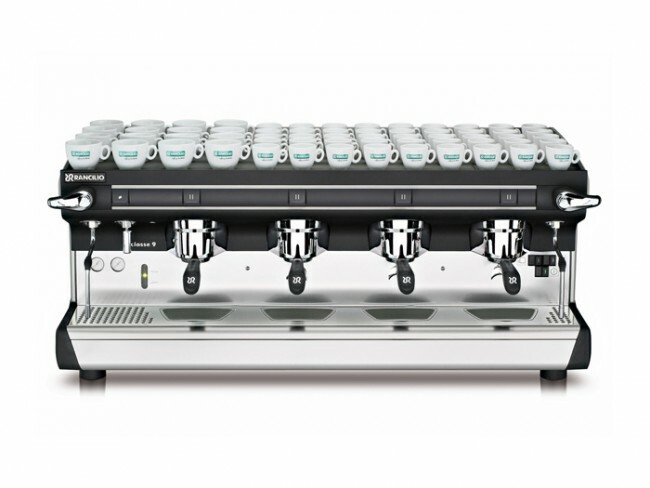 Barista's Friend - Where the machine does spurge, it benefits the user immensely. Comfy curved portafilters, barista lights, and ergonomic steam knobs lets you work all day long. Stainless Sides - The 9 is the only model in the Classe line to offer stainless side panels, all others are only available with plastic sides. No Mixing Valve - Even here, Rancilio has left out a cold water mixing valve for the hot water wand, meaning superheated water pulls directly from the steam boiler.